"Every year has its blockbuster movies. But every once in a while a film comes along that is destined to be a timeless classic by which other films are judged. 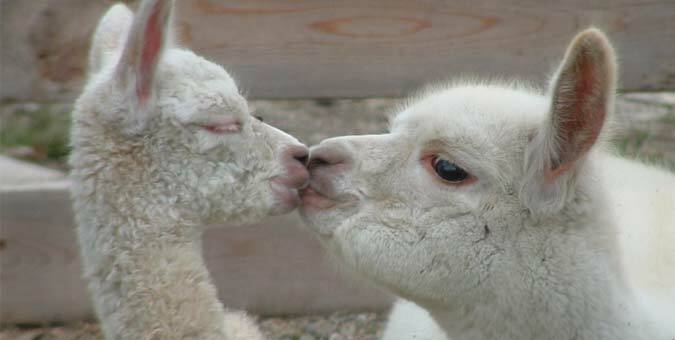 Just as cria enter the show ring every year, many of them have their 15 minutes of fame. 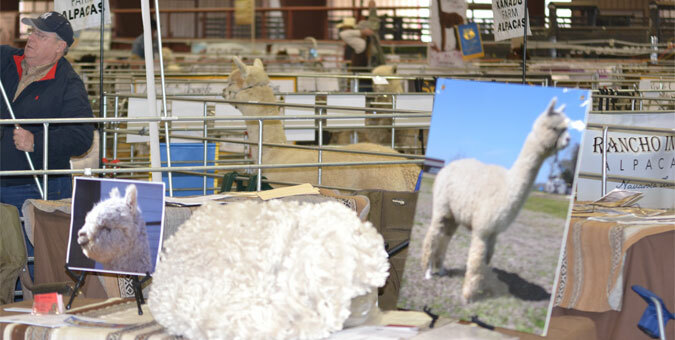 However, there are other alpacas that are standouts even among the blue ribbon winners. 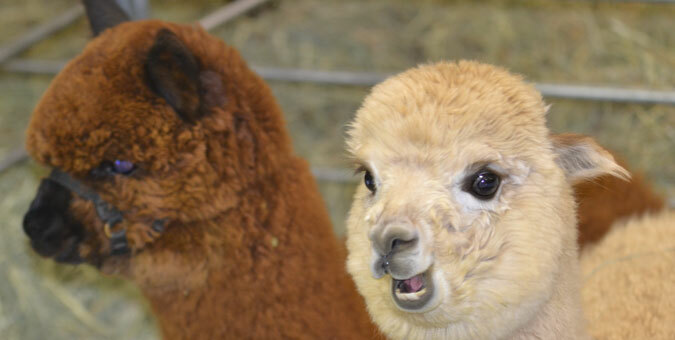 These are the alpacas that set foot in the ring and everyone watching knows what the outcome of the class will be. 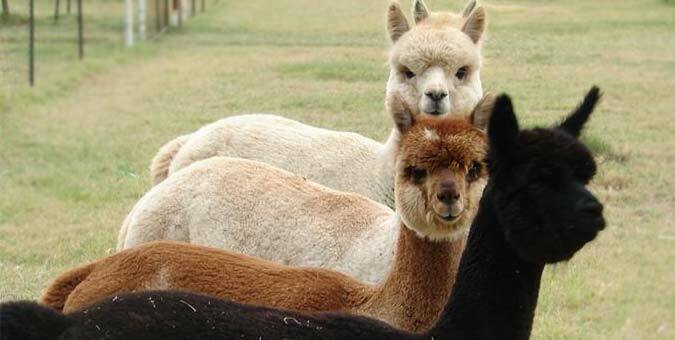 Other breeders see these animals, and they become the new gem that each breeder seeks to create within their own program. With Tuscan Gold’s Infinity this is what we feel we have achieved. His picture is beautiful, but doesn’t do him justice. His has dense bone of leg that is straight and gives him that typey and powerful look. He has coverage that reaches between his toenails and to his head giving him teddy bear-like “carpet ears.” But this is just the outside of the wrapper. The real worth is in his fiber. It breaks apart in popcorn-like sheets showing sheen and crimp from root to tip. You could touch that fiber and feel like you’re pressing into dense cashmere carpet. This is a male that we cannot wait to see the stud he matures into, but also wish to keep forever in this epic state of cuteness. Infinity’s quality is backed up by his heritage. His father is Sunny Mesa’s Tuscan Gold (owned by Bella Vita Ranch) a 5 time color champion and 11 time blue ribbon winner. 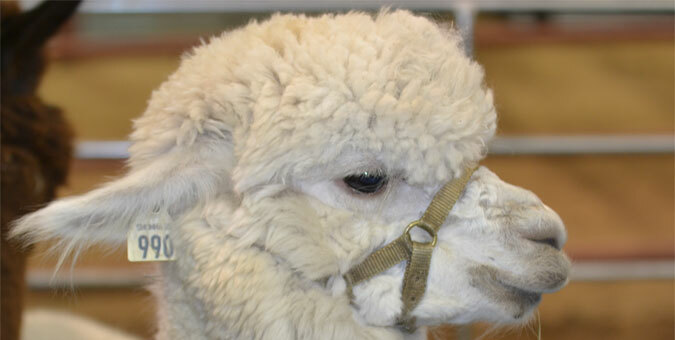 He is ¾ accoyo and combines the best of alpaca genetics with such names as Augusto, Star Kahn, and Hemingway. His offspring are sweeping the ring with multiple championships and proving his prowess as a sire. Infinity’s dam is Mile High Peruvian Kusi. A picture of this female is the showcasing photo for our farm. 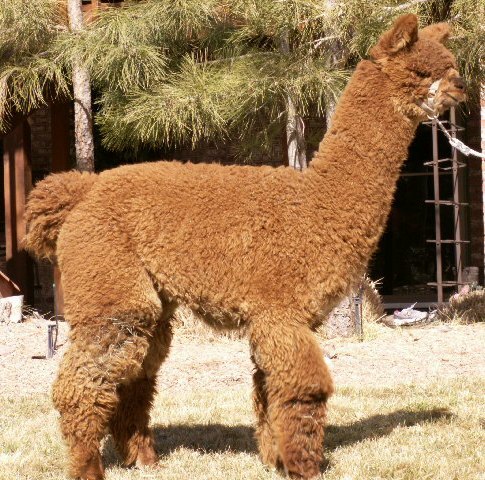 Anyone that sets eyes on Kusi simply comments “now that is a beautiful alpaca.” She is the mother of Mile High Ambrielle, Nile High's highest award-winning female with 7 color championships and a 1st place at the 2009 Futurity. 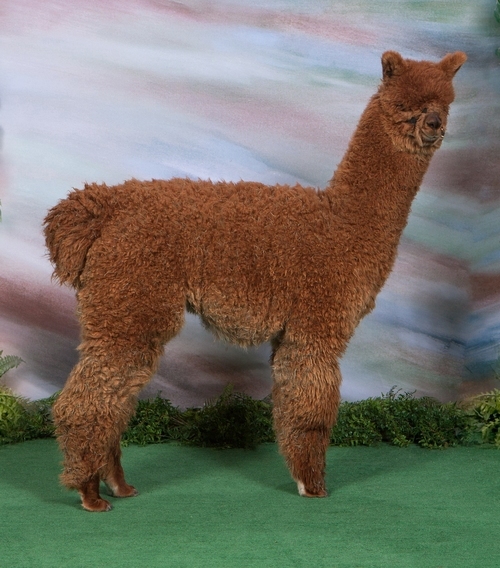 Her son Mile High Peruvian Tahona is a 3 time color champion and imminent herdsire. Infinity possesses the genetics to be the next “golden boy” among herdsires. We expect that this will be proven as he grows and enters the show ring. The judges will have a hard time taking their eyes off of him. 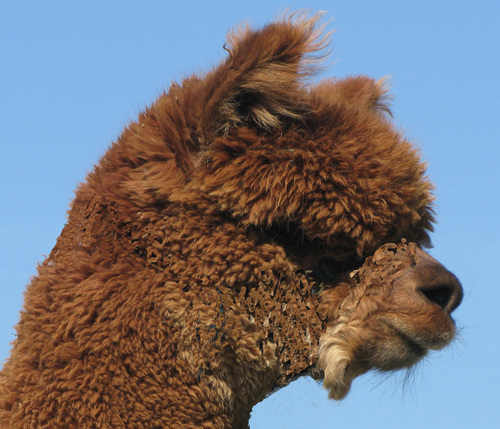 Infinity is the example of combining the strongest of alpaca genetics and achieving the highest potential they have to offer. 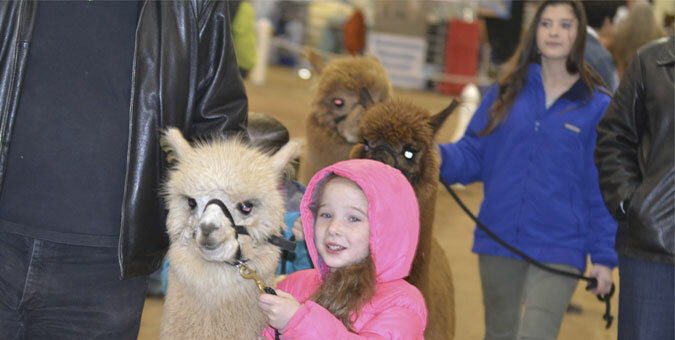 This is one that will set a new stage for what the next generation of alpacas can become." 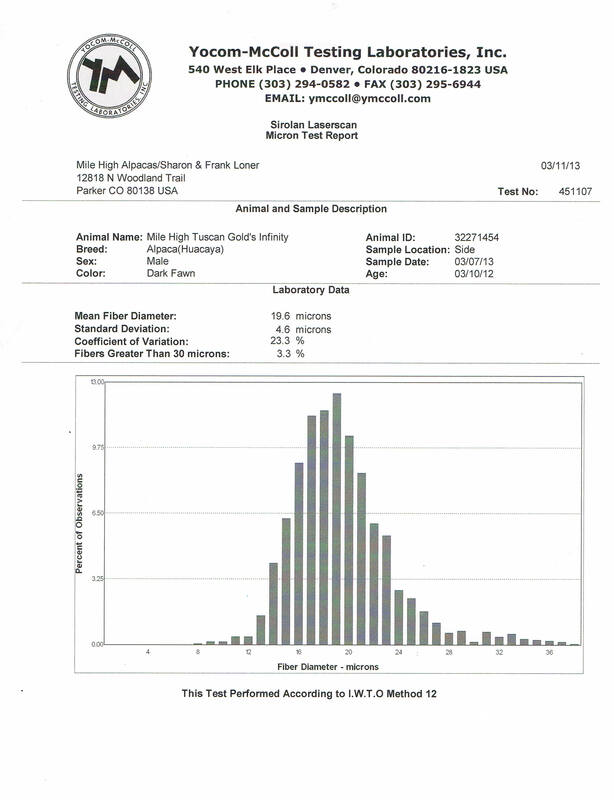 Finance terms: 50% Down, Balance due upon confirmation of pregnancy by ultrasound. 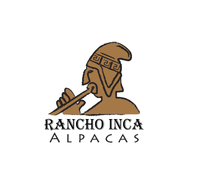 Transportation of dams to Rancho Inca Alpacas for breeding is the responsibility of the dam owner. 60 days free board. Thereafter, $4 per day.